Microphones come in many different colors, not visually, but sonically. Think of microphones as audio lenses. There are lens that are good for wide angle shots, narrow and there are those that have a vintage feel to them. The same is true with microphones. There are different pick up patterns, colors and tones etc. No mic/pattern combination works for everything. Before buying a mic, there are a few things you need to consider. Your budget, what you plan on recording and your current setup. Having a basic understanding on the lingo is good to have when looking for a mic. Most people just look at other studio’s gear list or blow $1,000 on a mic without understanding what they’re buying into. Response Curve: This is how the mic performs based on the frequency response. When you look at the curve, there with be peaks and dips in certain ranges indicating what the mic specializes in. For an example, vocals mics may peak a little more in the high-mid range frequencies, thus giving better vocal reproduction. Sound Pressure Level: On the back of the mic packaging you’ll see this as SPL. The SPL is how quiet and loud of a signal the mic can capture and accurately reproduce. This is the mics field of view, that’s the best way I can describe it. Cardiod: Mics with this pattern capture sound best when positioned directly in front of them while rejecting sounds coming from the sides and rear. This is the most popular pattern you’ll run into while shopping. Omni: Omnidirection mics equally captures sounds from all directions. Great for capturing room tone and ambience. Super/Hyper Cardiod: Very similar to a cardiod mic, but more directional. It’s as if they zoom into the subject you’re pointing them at while rejecting sound from the side. Also, unlike the regular cardiod, it doesn’t reject as much sound from behind making them a little difficult to work with. Shotgun Microphones: Typically hyper-cardiod and super-cardiod patterned. Excellent for voice overs and field recording. These mics work similar to a telescope by focusing on the sound in front of them and rejecting unwanted sound behind and on the side of them. 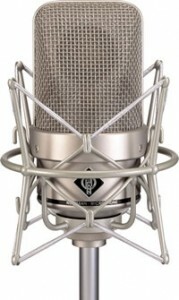 Condenser Microphones: Excellent for capturing detail in recordings. There was a time when condenser mics were too expensive for home studio musicians, but these days, they’re more affordable. USB Microphones: Not ideal to a lot of professionals, but one can’t deny there growing popularity and ease of use. I find these microphones great for quick recording projects. Mics come in two sizes large and small diaphragm. Both capable of capturing great recordings, but slightly different. Large Diaphragm: Lower self noise, high sensitivity, lower dynamic range, a narrow frequency range and they produce an overall warmer sound. Small Diaphragm: Higher self noise, low sensitivity and higher dynamic range. Where it shines is recording sounds with sharp transients. The more you understand about mics, the better decisions you’ll make when using them , and the better choices you make when shopping for a microphone. Too often I see people with a budget of $1000, and they don’t spend $800 of it on a microphone. I’m not saying that the microphone isn’t worth the price, but it is worthless in the hands of someone who doesn’t understand it. If you’re recording ambience, you’d want to use a omni patterned microphone. If you’re recording sounds with sharp transients, you’d use a small diaphragm condenser microphone. If you’re recording VO, you wouldn’t use a small condenser mic, you go for the large diaphragm. It’ll sound much better. Don’t get caught up in the more money = better quality. It makes no sense to spend top dollar on for a microphone if you won’t be recording in a top dollar environment with top notch gear. Rode, Audio Technica, AKG..Do Brands Matter? To an extent. Some brands are known for making great sounding equipment others are known for just the opposite. Then you have brands who are known for creating quality gear at cheap prices. This is where your budget and time come into play. Some brands make great sounding microphones by mistake because there’s no quality control. If you’re willing to purchase, test and exchange until you get a good model it might be worth your time. This happened to me with a Behringer condenser mic. It had a sound extremely close to U87. So, I purchased 5 more, and to my surprise, they all sound different – lack of quality control. The same happened with a small condenser mic I purchased one from MXL. It had a really good sound to it, very close to my friends Rode NT5 at a fraction of the cost. Again, purchased more, this time, they all sound good. Behringer B2: I know some of you were saying “blah Behringer”, but this is mic I was talking about that sounds very similar to the U87. I ‘ve had this mic for 16 years, and it sounds wonderful. Studio Projects B3: The most versatile mic I love this microphone because it comes with three polar patterns Cardiod, Omni and Figure 8. I use this for all sorts of recordings; VO, drums and sfx. Rode NTG1: My first shotgun mic, not the best, but it does get the job done, and it’s relatively inexpensive. Especially when compared to other shotgun microphones. ATR2100 USB: This Mike made it on my list because it’s a USB mic that can be powered via usb and 48v meaning it has an XLR input. I like this mic because of the sound quality, it’s very similar to the rode podcast and it’s under $60. Make sure you do your research. 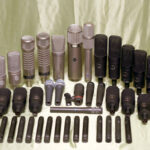 There are a lot of sites that offer great reviews on microphones. You can also rent time in a studio… One hour just to do a test out the different types of microphones. There are also services out there that will allow you to rent music gear for dirt cheap. From there you can test decide if the mic is something you want long term.